All students and parents are required to follow the rules and regulations of Camp Vatra for Seniors. Please print these pages and look at them together so that both parents and children are aware of their responsibilities. After reading all the information, complete the Registration Forms (pages 1-6) and submit them to the address listed in the General Information. Due to the potentially large number of registrants, we remind parents that the registration fee, $450.00 USD for each child, must be submitted with the Registration Forms or the student will not be registered. After June 8, the fee for each student is $500.00 USD. Cash, check (payable to "ROEA") and credit cards (Visa/Mastercard/Discover - processing fee of $20 added) are accepted. Click below to download a Credit Card Payment Form. 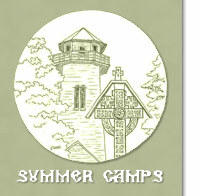 If you are interested in serving as a Camp Counselor or on the Camp Staff, please contact the Camp Director, Fr Dan Hoarste by phone at (517) 522-4800 ext. 213 or by email at: prdan@roea.org before filling out the Application Form.